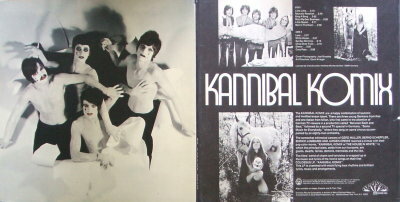 Kannibal Komix, also know as Die Anderen, was a band from northern Germany who's first album was released in Europe by Ariola Eurodisk in 1968 and in the USA in 1970. The music, used for the soundtrack of a Beatles like film "The House In White", is a fun mixture of garage, pop, psychedelic and bubblegum all produced with the full pop orchestral treatment. Several of the songs will remind you of early Bee Gees or the trippy 1968 hit "Pictures of Matchstick Men" by Status Quo. If you can find a copy, this American release has a deluxe gate fold cover. 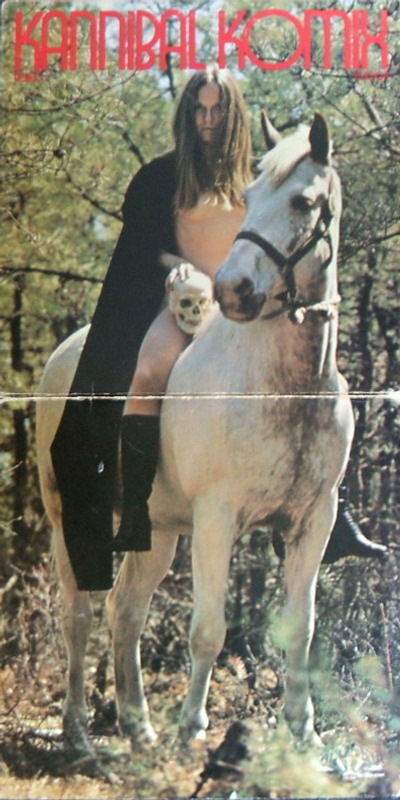 The album has been reissued by Longhair music with, I think, the original European cover. You can check out the garage side of the band doing "Neurotic Reaction" on You Tube. Kannibal Komix continued with personnel changes as "Apocalypse"
Vinyl History explores music in the original vinyl format from the 1960's to the present day. Opinions expressed on this site are the reviewers alone. Copyright 2011 Vinyl History.com - Visit our feedback page for information about how record collectors can contribute to this site. - SUPPORT YOUR LOCAL INDEPENDENT RECORD STORE!